Engineering psychology is a field of psychology that focuses on the relationship between humans and the products that we use everyday. Specialists in this field concentrate on exploring the relationships between man and machine, so to speak. They study how we interact with, perceive, and are influenced by everyday products and technologies. Engineering psychologists also play a role in making certain products easier to use and safer. The history of engineering psychology began in the 1940’s, during World War II. The weapons used during this war were somewhat advanced for their time, but they were still not without error. For instance, weapon and equipment malfunction was not uncommon, and these malfunctions often led to costly mistakes. The main reason for the majority of these errors was traced to human error. It was found that the machines and other technologies of the time were not built with the needs and abilities of the users at the time, and they were very difficult to use. To correct this problem, psychologists were brought in to help engineers create more user friendly designs. Today, with the boom of the technological industry and consumerism, the field of engineering psychology has exploded. We are surrounded by machines, computers, and software, and it doesn’t seem to be going away any time soon. Consumers and businesses are now calling for technological devices and software that is safe and easy to use. Engineering psychologists are necessary, because they have a hand in making these products more user-friendly, more efficient, and easier to use. Read more on the employment opportunities for engineering psychology. What Do Engineering Psychologists Do? Engineering psychologists typically perform research and work as consultants in fields such as engineering, product design, and software development. One of the main duties of engineering psychologists is to perform research on what consumers want and need when it comes to their products. Psychologists might do this by creating focus groups, test panels, and consumer surveys. In doing so, engineering psychologists are often able to study how people interact with products and spot potential problems, such as safety issues or difficult to use features. By consulting with engineers and developers, engineering psychologists can help create products that are less likely to result in problems due to human error. Demographics and user abilities are also a big part of engineering psychology. For example, engineering psychologists are often asked to research which types of people are more likely to buy certain products, based on looks and functionality. They might also be asked to help change a product so that consumers find it easier to use or more appealing. What Are the Education Requirements to Become an Engineering Psychologist? Most engineering psychologists start their journeys with four-year bachelor’s degrees in general psychology. Generally, though, the majority of the engineering psychology positions are filled with individuals that hold graduate degrees in this area. Before you enroll in an environmental psychology degree program, however, you should check to ensure that it’s accredited by the Human Factors and Ergonomic Society. Courses that you may take while working toward your engineering psychology degree often include general psychology, human factors psychology, industrial-organizational psychology, ergonomics, bio-mechanics, human-computer interaction, and statistics. If you are looking into becoming a engineering psychologist, start by reading more about engineering psychology degrees. As an engineering psychologist, you will most likely find positions open in a number of different fields. Engineering psychologists work in areas such as software development, computer science, engineering, and aviation. Because an the ease of use of medical equipment can often make the difference between life and death, engineering psychologist positions are also quite common in the medical field. 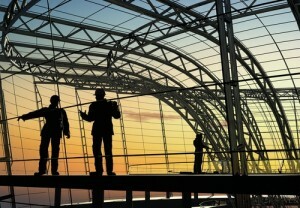 PsychologyToday.com - Are Engineers Creative like We Are?